Discover why WiFi hotspots and social WiFi hotspots represent a not-to-be-missed opportunity for your company. Nowadays, the success of the retail industry revolves around meeting the increasingly demanding customer needs. By deploying in-store Wi-Fi within retail shops, shopping malls and department stores, retailers can effectively acquire more customers and increase in-store engagement to retain them. 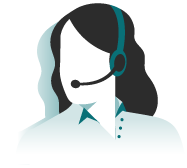 By virtue of its comprehensive set of features, Tanaza is the right solution to better engage customers, make them feel comfortable and more keen to buy your products. 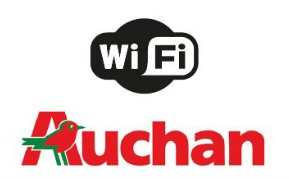 The retail group Auchan, for instance, successfully relied on the easy-to-use Wi-Fi services provided by Tanaza for its in-store Wi-Fi project. WiFi is a valuable resource for shops to capture customer data easily. Indeed, when users authenticate to a Wi-Fi network, they are required to provide personal information, such as name, email or phone numbers, age, gender, etc. You can collect and store this data on the Analytics Dashboard provided by Tanaza, a powerful tool that allows network admins to analyse user data to better target and serve your shop’s visitors. For instance, you see the number of people who visited your shop last week, month or during a selected period, how many times they came back, their demographic information, the number of receipts of a specific day, etc. In this way, you can easily detect people’s shopping trends and base your offering on that. The captive portal provided by Tanaza provides a variety of user authentication methods: login through email addresses or phone number, authentication through a personal code (i.e., the fidelity card code) or SMS, and social login. Among them, social login is the most suitable to increase your social visibility and online engagement in a fast way. Indeed, through social login, customers access your network by simply using their social media accounts, i.e. Facebook, Twitter, Instagram, etc. Thanks to this authentication method, you can ask users to like your Facebook page or to share their positions through a Facebook Check-in: in this way, more people will hear about your retail shop or store. With Tanaza, network admins can real-time monitor their social hotspot usage and, for instance, compare Facebook insights and social media analytics on their social dashboard. Tanaza features a responsive, multi-language and customizable login page, on which retailers can advertise their products and offer tailored promotions:for instance, you can add discount coupons for new customers to use on their next visit, as a way to incentivize them to come back to your venue. You can advertise banners or videos, with random or time-based rotation. You can also add a html widget on your login page, and if you have an ecommerce, you can leverage your Wi-Fi to increase its visibility: you only need to add it in the walled garden, and then link it from your login page.